In his April 2016 Automated Buildings edition, Ken Sinclair, AB owner and editor, references the steady march of technical advances that have impacted our industry over the past 40 years to highlight his April theme “IoT Disruption Transforms and Opens Industry,” emphasizing that we must stay actively involved in the IT technologies because the next leg of the journey has just begun. Ken Sinclair: “Transforming and Opening the Industry is a journey, not a destination, and will require consistent and constant attention. Our contributing editor Therese has described our April issue as something about open source being a friction-reducer mixed into the IoT/Smart Building super collider,……very descriptive for sure. Open, What Does It Really Mean? 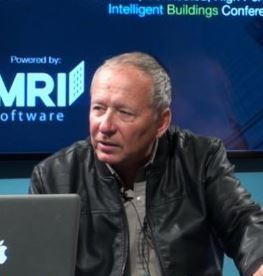 Fred Gordy, Intelligent Buildings LLC. In his December release, Ken Sinclair, owner and editor of automatedbuildings.com, draws our attention to the importance of attending our HVAC industry’s premiere event and prefaces the educational theme for the January, 2016 AHR Expo in Orlando, FL. Ken Sinclair continues, “Our education theme for this year’s AHR Expo is “Transformational Change for Building Automation.” Our last few issues and this issue speak well to the possible of connected buildings and the transformational change we all need to make.” Click here for the complete AutomatedBuildings’ December release. In Search of a Brain for Buildings, Brad White, SES Consulting Inc.
Energy Harvesting Wireless, Jim O’Callaghan, EnOcean Inc.
People, Place, Process and Technology, Rick Rolston, BuiltSpace Technologies Corp.
(Photo Credit: procore.com blog) While an increasing concerted effort to grow the HVAC industry young is under way, the need for immediate competent presence (ICP) won’t let HVAC wait. Wearable technology, especially Smart Glasses adapted for the HVAC/Systems Integration markets, may extend the existing talent pool well enough to serve as the necessary interim measure. The sheer scarcity of human resources available and the relatively long learning curve and apprentice phase needed to provide unassisted smart HVAC services requires the use of wearable HVAC-oriented technology as soon as it becomes available. 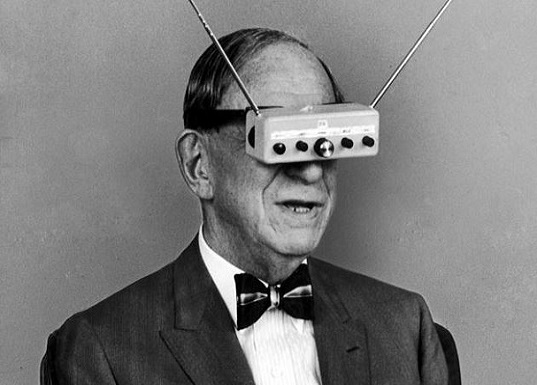 Customers will expect the use of wearable technology solutions to ensure that their needs are being met. And as the favorable shift of economic, social, and technological forces continue to reduce the barriers of entry, imminent use of wearable technology in the HVAC industry, is just around the bend. Augmented World ExpoTM (AWE) is the world’s largest conference and expo for professionals focused on making the world more interactive – featuring technologies such as Augmented Reality, Wearable Computing, Smart Glasses, Gesture and Sensors devices, and The Internet of Things. Now in its 6th year, AWE is again assembling the top innovators – from the hottest startups to Fortune 500 – to showcase the best augmented world experiences in all aspects of life and work: from entertainment and brand engagement, to enterprise and industrial, urban and architecture, education and training, automotive and navigation, government, and commerce. AWE 2014 was the largest ever exposition of Augmented Reality and Wearable Technology with over 200 demos, 150 speakers, and nearly 2000 attendees! AWE 2015 is poised to set a new record and draw 3000 attendees from all over the world: a mix of CEOs, CTOs, designers, developers, creative agencies, futurists, analysts, investors, and top press – and offer a fantastic opportunity to learn, inspire, partner, and experience first hand the most exciting industry of our times. Ken Sinclair’s Connection Community Collaboratory has recently invigorated the HVAC and Building Automation industry’s interest with an open challenge to make our industry younger by attracting new talent and bringing these new employees up to speed quickly. Sadly, we lost the use of Star Trek’s Vulcan Mind Meld with the loss of Leonard Nimoy, but Ken’s autodidactic style of learning is indeed, a vital part of the future solution. Yet, even this intentional paring away of general knowledge to specific knowledge served on self-consuming trays of wearable, digital, video, and other IoT-ed support — still requires the creative transfer of our industry’s knowledge trust, much of which is esoterically held. As an industry we must think of how each of our organizations can leverage its existing resources, policies, collaboratories, and industry partnerships to create greater career pathways that will close the skills gaps faster and ultimately, sustain our industry. 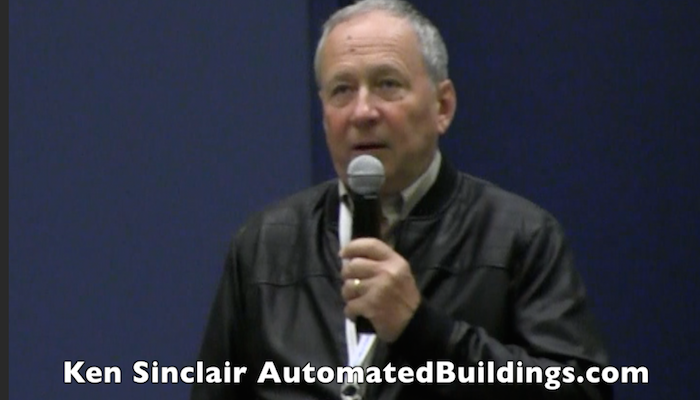 More from Ken Sinclair’s Automated Building’s March Issue: How do we create them? How do we use them to increase the value of our only assets our people? I have become obsessed with how do we grow our industry younger and create self-learning cultures because I believe this is our only future. I have also learned that these younger minds need not learn everything we know because much of what we all have done as an industry and a lifetime is create standards, protocols, and best practices. They only need to know which of these worked well and move on from there. Experienced folks in the industry need to relearn how to teach in the IoT world. We need to learn how these younger folks learn because they are our only asset for growth. We need to get inside their heads, learn how to use all the communication mediums of our time…yes, the complete myriad of social media platforms…yikes never thought I would say that, but it is true. ASHRAE what comes to mind? 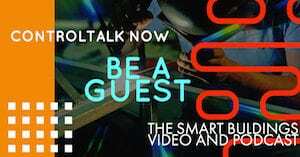 This week’s ControlTalk NOW reviews publisher and owner of Automated Buildings, Ken Sinclair’s 2015 Connected Community Collaboratory. This unique and informative video series captures the wisdom and insights of some of the brightest minds in Smart Building and HVAC Industries, teaming John Petze, SkyFoundry with Marc Petock, Lynxspring; Andy McMillan, BACnet International; Paul Oswald, ESI; and Jim O’Callaghan, EnOcean Inc. generated powerful experiential knowledge — shared in a very consumable video format. Don’t miss! Four more videos sections to follow. 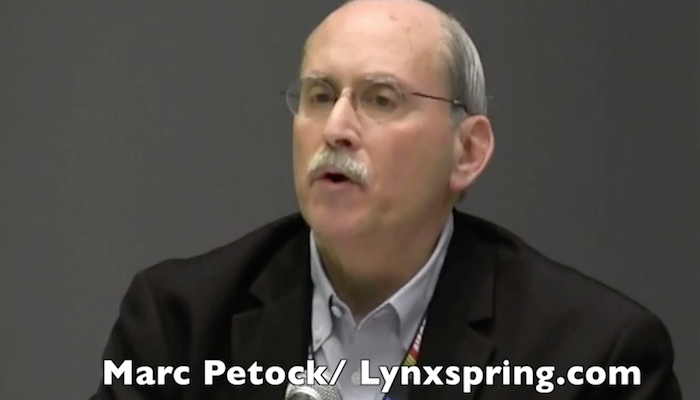 Marc Petock, Vice President Marketing, Lynxspring drew attention to the reality that cyber security considerations were absent when the founding protocols were established. The industry as a whole was unaware of, or naive to, the dangers that cyber-terrorism now poses to our industry. The solution requires a collaboratory response, because no single business or party can remedy the threat by itself. It requires awareness and dialogue at every level: manufacturers, C-Suites, systems integrators, service providers, and building owners need to pro-actively deal with all of the existing and potential issues. 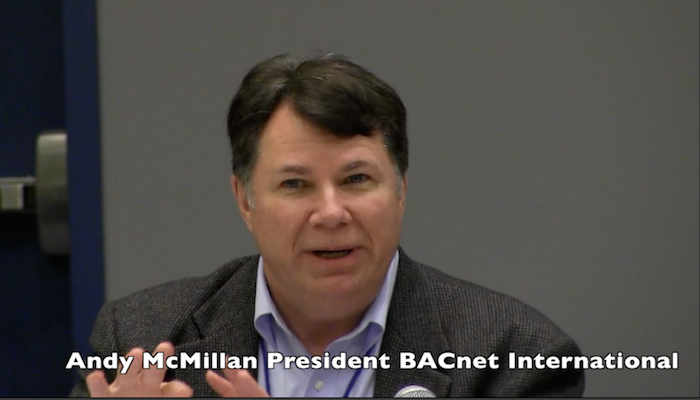 BACnet International President, Andy McMillan’s thought-provoking dialogue was a compelling case for managed lighting and the natural power of lighting where focus has shifted from the energy-savings aspects to hospitals releasing patients in shorter periods of time (circadian rhythm), learn well classrooms that ramp students’ energy and alertness, and retailers that sell more of the things they want to sell — these are the nouveau marketing ways. Also, lighting problems are in the construction and procurement processes. Much more collaboration required. This year’s theme was “Our Connection Community and the Internet of Things” ( CCIoT). The meeting was designed to be fast moving and expected the attendees to have a basic understanding of the evolving connection communities’ needs, and a list of required reading from the presenting thought leaders was provided to get attendees up-to-speed. Presenters were given five minutes after which, Ken Sinclair served as moderator to ask a few questions for clarity. No power points allowed; only old school face-to-face collaborating. Great stuff. Introducing Honeywell’s Q50204 Retrofit Globe Valve Linkage. Honeywell is pleased to introduce their new Q5024 globe valve retrofit linkage. This linkage allows you to use Honeywell Direct Coupled Actuators (DCAs) to retrofit most manufacturers’ globe valves in the field, with no valve disassembly required. This linkage is easy to install and the wide variety of collar combinations fit most of your globe valve retrofit jobs. 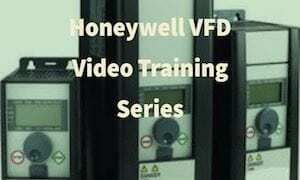 Save money and time by replacing old electrical or pneumatic actuators with reliable Honeywell DCAs. View as a PDF. Share Your Knowledge – Bring Your Experience to Haystack Connect 2015. Planning for Haystack Connect 2015 is well underway. With a little over 4 months before the conference kicks off, the event has 14 major sponsors and exhibitors as well as 3 Media sponsors, with new companies signing up every week. See the current sponsors here: www.haystackconnect.org/sponsors. The technical program is taking shape with a number of papers and presentations submitted on a wide range of topics around the conference themes that include Data Modeling, Hardware, Analytics, Cyber Security, Energy, Wireless and more. Consider joining the community at the Haystack Connect event — submit a presentation and share your expertise. 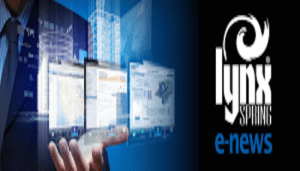 Lynxspring Announces 2nd Generation Modbus to BACnet® Bridge. 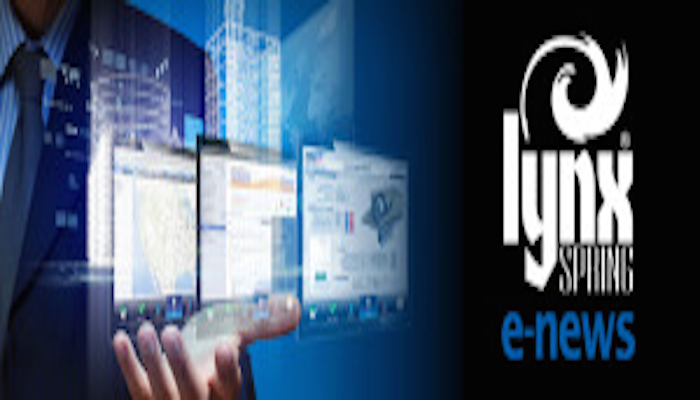 Lee’s Summit, MO – February 2, 2015: Lynxspring, a premier developer and provider of open, IP-control solutions for building automation, energy management, cyber protection, and device-to-enterprise integration today announced the release of the OnyxxTM-MB311, their 2nd generation Modbus to BACnet Bridge solution. 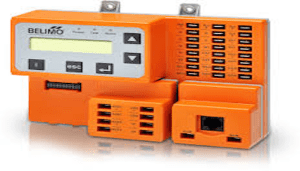 Embedded with a Lynxspring’s Smart ModuleTM and running Lynxspring’s HelixxTM IP-software framework, the Onyxx-MB311 is more powerful and takes Modbus to BACnet protocol translation to the next level. 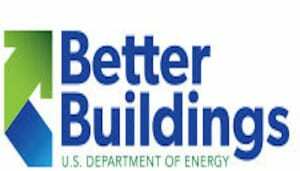 Better Buildings Summit, May 27-29. 2015 — Registration Now Open! Marriott Wardman Park, Washington, DC. This year, the Better Buildings Summit is expanding into new sectors and engaging a diverse set of market leaders. Over two and a half days Better Buildings partners and stakeholders will come together in Washington D.C. and participate in sessions and meetings focused on the sharing of the most successful strategies for achieving energy savings through energy efficiency. Check out our interactive Agenda At A Glance and be sure to register today. ACI Releases New “Universal” Dry Media Differential Pressure Transmitter. ACI understands that sensor applications can often differ from job to job. To accomodate most differential pressure sensing applications, we now offer a universal range option. A single unit, A/DP2-10U, will give you field adjustable ranges of o to 1″, 0 to 2.5″, 0 to 5″, and 0 to 10″ and output flexibility of 4 to 20 mA, 0-5 VDC, 0-10 VDC, and 4-20 VDC. This is critical for optimizing pressure within your facility. 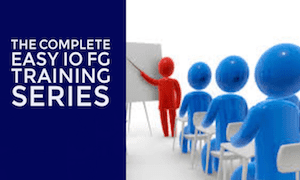 Belimo ZIP Economizer Training. 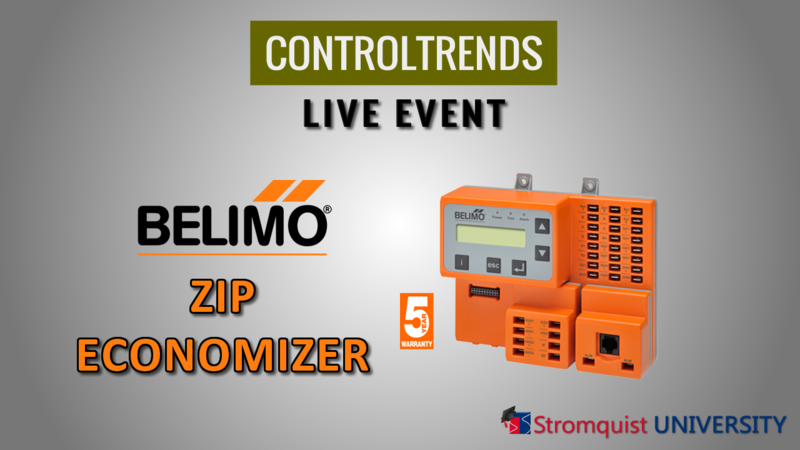 On Thursday, February 12, 11:30-12:30 EST, Stromquist will be live streaming a training session on Belimo’s award winning ZIP Economizer. Belimo’s product specialist will be on hand to explain what makes this product so unique and how it can make saving energy easier. The ZIP Economizer is the most technologically advanced Airside Economizer solution in the market and is designed to provide the most energy savings through advanced economizer logic strategies. Rob Allen’s 7 Minutes in Control: Mike Marston. Join Stromquist Company’s Rob Allen and EasyIO’s Mike Marston as they discuss the reasons for EasyIO’s meteoric global success and the 3-time ControlTrends Award winning FG-32, as Plant Controller of the Year, Gordon Chan’s Small Manufacturer CEO of the Year, and Lim Hoon Chiat’s (and SK Foo’s) award-winning technical support. ControlTrends Awards Highlight: Neptronic Wins Vendor of The Year: Small Manufacturer. Founded in 1976, Neptronic is a private corporation that designs, manufactures and distributes products for the HVAC industry. 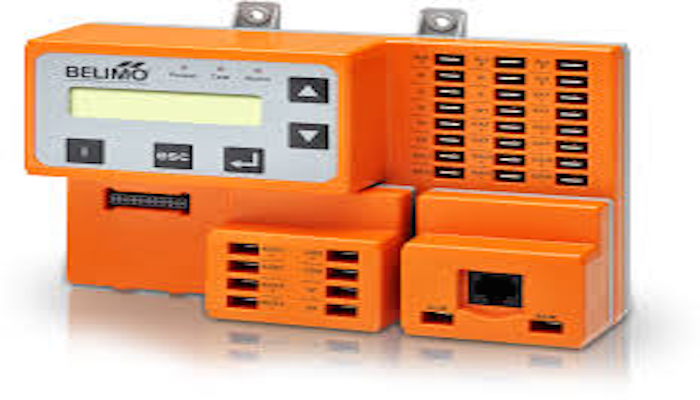 Their product line includes intelligent controllers, electronic actuators, actuated valves, humidifiers and electric heaters.Neptronic products are designed and manufactured by over 250 dedicated employees in their 7,500 m2 (80,000 ft2) state-of-the-art facility located in Montreal, Canada. 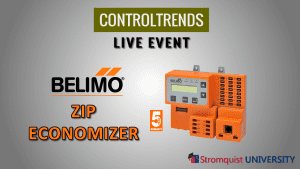 Live Training Rewind: Revisit the Belimo Team as they teach the ControlTrends Community about the Belimo Zip Economizer. This is a rewind of the Live Stream Belimo Training held Febuary 12, 2015 at the Stromquist & Company training center. Belimo’s product specialist explains what makes this product so unique and how it can make saving energy easier. The ZIP Economizer is the most technologically advanced Airside Economizer solution in the market and is designed to provide the most energy savings through advanced economizer logic strategies. Honeywell Momentum 2015 Partner Conference Sep 20-22, 2015, J.W. Marriott Resort and Spa Palm Desert, CA. Momentum 2015 is coming! Save the date for Honeywell’s premier partner conference and join hundreds of building controls professionals to connect with industry leaders, understand evolving market trends and discover Honeywell’s vision in the Intelligent Building marketplace. J.W. Marriott Resort and Spa Palm Desert, CA. 2015 Niagara Forum — open 4 innovation — April 19-21 2015, in London. While everyone’s talking about the Internet of Things, Vykon is pioneering solutions for the Open Internet of Things. With nearly a half-million instances deployed worldwide, the Niagara Framework® represents the power of open — and the future of innovation. Discover the possibilities at the 2015 Niagara Forum in London, April 19-21. Learn what truly open systems can achieve for our partners and their customers, and get a firsthand look at our next generation platform, including Niagara 4 and our next generation hardware, JACE 8000. 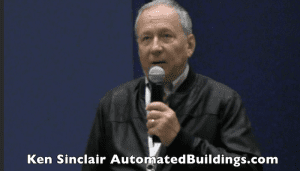 Ken Sinclair’s February, 2015 Automated Buildings: AHR and HVAC Industry Roundup! The February,2015 automatedbuildings.com is ready for reading and the content is a pure assemblage of relevant, need to know information, plus Ken included his coverage of the 2014 ControlTrends Awards, where H. Michael Newman and Contemporary Controls’ George Thomas were inducted into the ControlTrends Hall of Fame. Ken’s prevalent February theme is Growing our only Asset our People, and the 2014 ControlTrends Young Guns Awards brought seven amazing and talented young HVAC representatives to the stage to personify what the future of the HVAC Industry looks today, and help spread the message that to sustain our HVAC Industry, we need engage today’s talented youth in new ways. Excerpts from Ken’s article: “I just returned from a very successful AHRExpo in Chicago. Read my review of this record breaking show of over 62,000 attendees, 10 acres of exhibits, from over 130 countries. This all flies in the face of the digital world and the Internet of Things replacing good old face to face interaction and networking. Werner Buck’s illustrious career is punctuated by yet another award, as the former president of Belimo Aircontrols (USA) and one of the most recognized innovators in the HVAC industry, is awarded the inaugural ControlTrends Hall of Fame Award for his outstanding professional and community contributions. ControlTrends will continue its efforts to chronicle the origins, people, and legacies of our HVAC Industry. The HVAC Industry is alive and full of world-class people! Enjoy this highlight video of the superstars and heroes captured at the 2012 ControlTrends Awards in Dallas,TX. These are the men and women who make the HVAC Industry the important and successful industry that it is today! Get Ready For The 2013 ControlTrends Awards from Eric Stromquist on Vimeo. 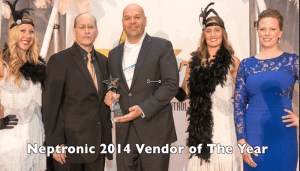 2014 ControlTrends Awards Highlight Week! 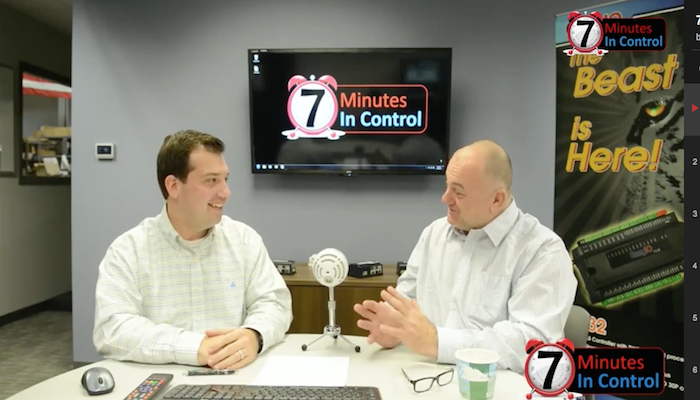 As we get ready for the 2014 ControlTrends Awards next Monday, January 26, 2015, we take a look back at all the good times and great winners from previous ControlTrends Awards. The ControlTrends Awards is the marquee event that recognizes and celebrates the Super Stars of the HVAC and Building Automation Controls Industry. See you in Chicago! 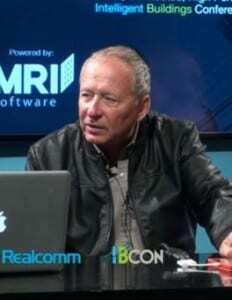 Control Trends Awards 2013 from Eric Stromquist on Vimeo.